Festivals are the perfect opportunity to experiment a little more with your hair, to achieve that perfect boho messy-but-still-cute vibe. 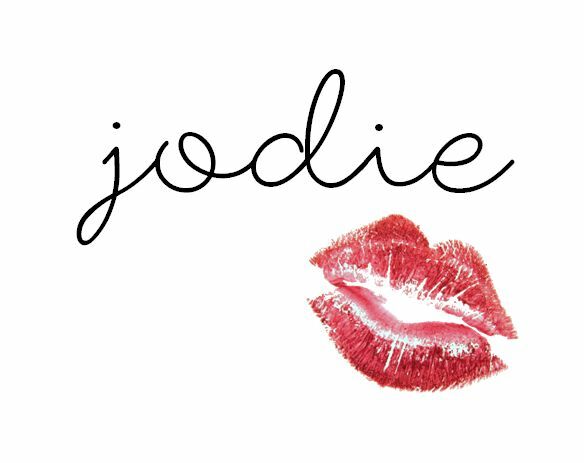 You'll want to use styles that keep hair off your face and that with stay in place whatever the weather (which will probably be rain, let's be honest). For this post, I have put together 3 hairstyles, one for each day of a weekend festival. Each style uses the same base and they won't take you more than a minute to transition from one to the other, so you won't miss any of the music! HQHair have kindly sent me the Glamoriser Free-Styler* to feature in this post. It is a cordless hair-straightener which you can charge up to take away with you, so you can create amazing styles anywhere - even in a tent! What I love most is the styler's size; it is so small that I could fit it easily into my handbag and take it along with me on a day out to tame any flyaways or refresh my curls for an evening! The first style creates the base for each style afterwards, so you don't have to go back and completely re-do everything - perfect for if you can't shower or if you're just feeling lazy! 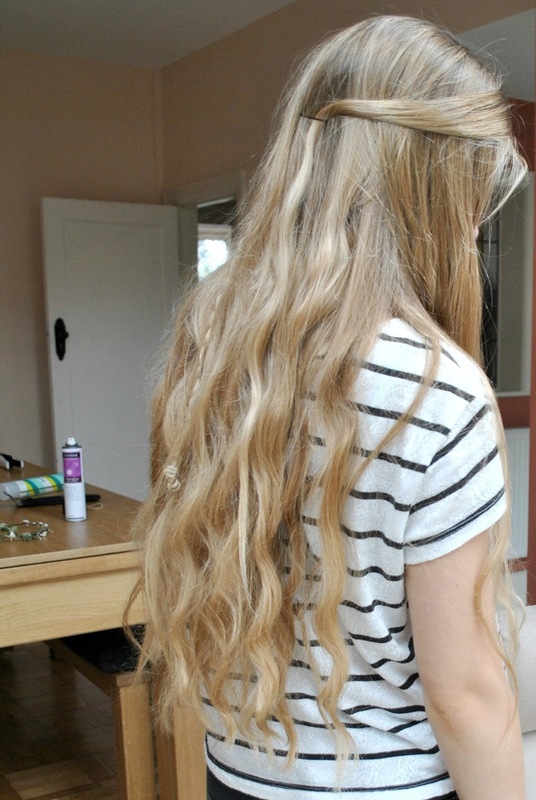 I sectioned my hair off and created beachy waves using the Glamoriser Free-Styler*, finishing them with hairspray so they'd hold for the entire weekend. You could either do this before you leave, on the journey or as soon as you arrive to save time, not that it took very long at all! 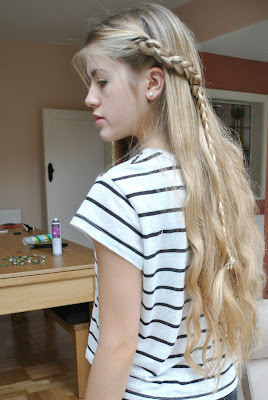 I then took a front section of my hair, plaited it and pinned it at the back of my head. I took another section and just pinned it, so the front looked symmetrical. 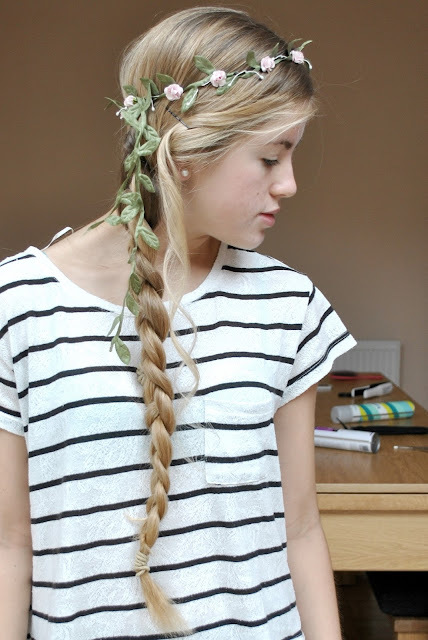 I finished the look off with a flower crown - a festival essential which is perfect for hiding any hair mistakes or unwashed hair! On day 2, if our hair is looking a little greasy then spray in some dry shampoo, before pulling it back off your face and over to the side where the front plaited section isn't. 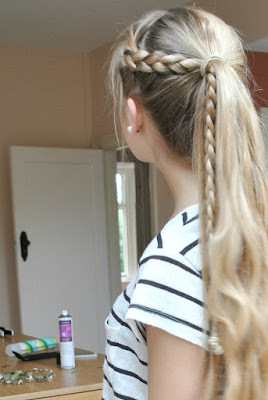 Begin a side-braid, incorporating the front plait into one of the strands. 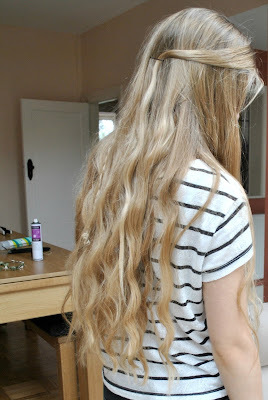 If you like, you can leave a section at the front free to create a cute little curl with your Glamoriser Free-Styler*. 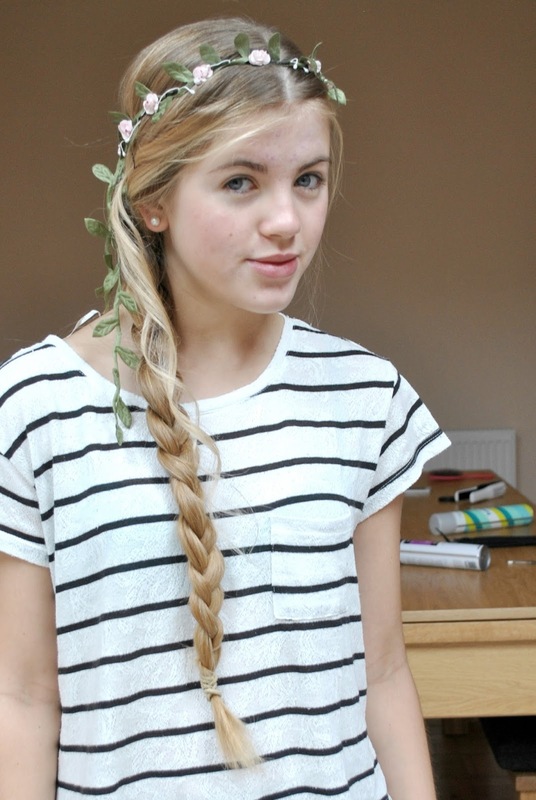 Secure your plait with a hair tie of your hair colour, and put on your flower crown again. 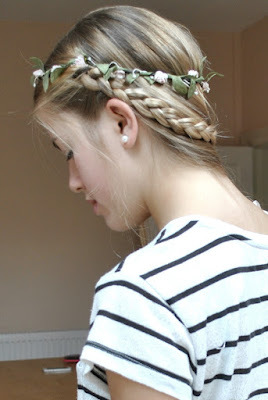 This style should take under a minute and looks like you've really put some effort in, which is more than can be said for most people on day 2 of a festival! 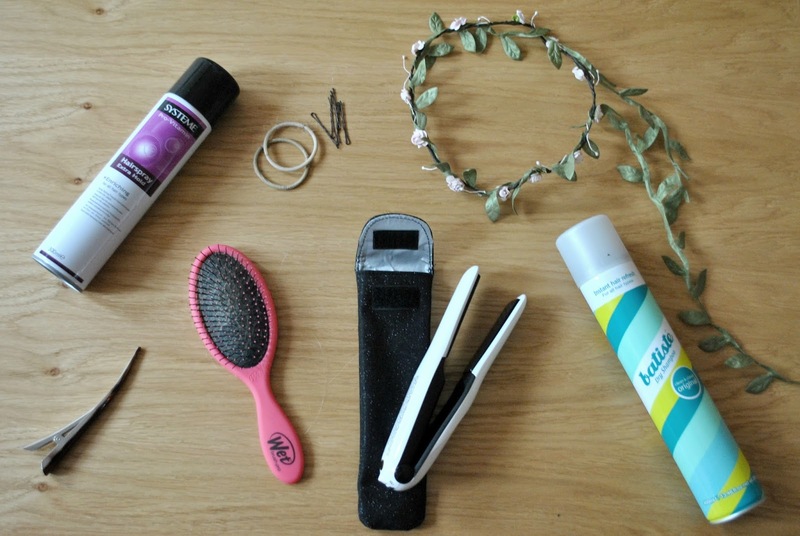 On the last day of a festival, all you want to do is throw all of your hair up and get on with the day, because if you're anything like me you'll be feeling a little worse for wear and won't fancy sitting and styling your hair. 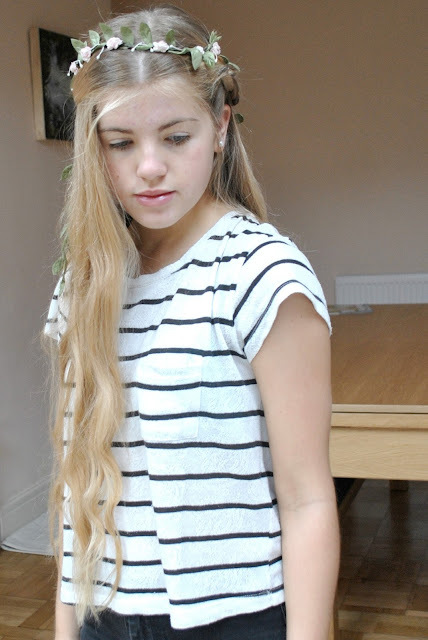 However, by leaving in the base style we created on day 1 of messy curls and a little plait, you can make your normal ponytail a whole lot more interesting! 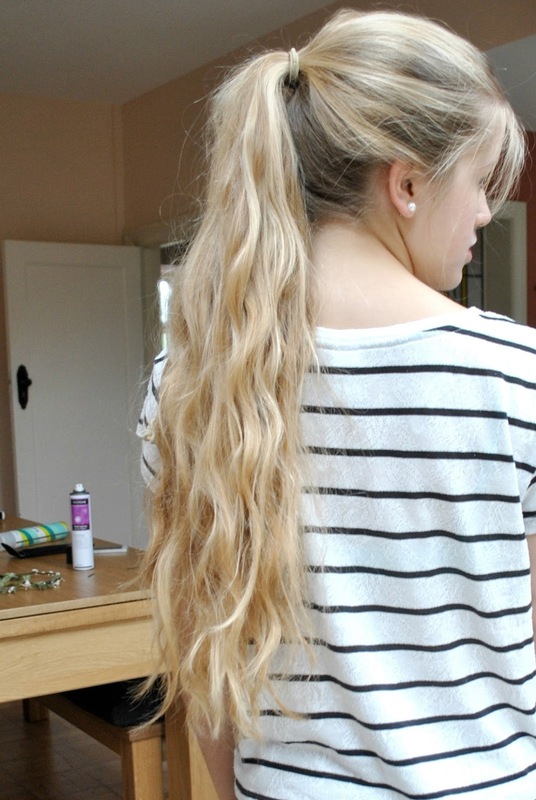 All you need to do is put your head upside-down, gather all your hair into a high ponytail and secure with a hair tie - it really is as simple as that! 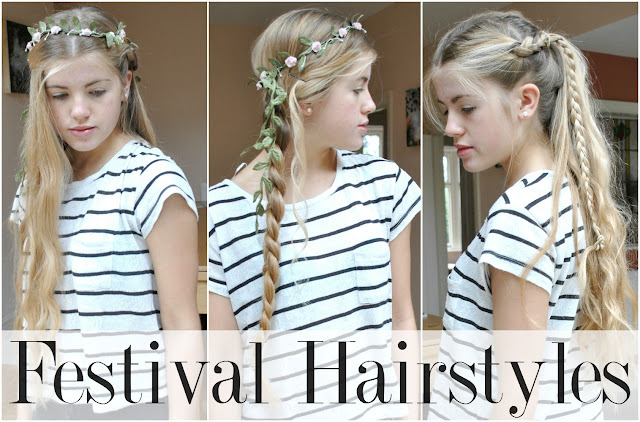 Not only are these hairstyles perfect for a festival, I will definitely be wearing them to college next year when I roll out of bed and panic about the state of my hair (a daily occurrence for somebody with hair that literally touches their bum!) Although the hair straightener I used was sent to me for a feature, I can honestly say that I will continue to use it because of its sheer practicality - you don't need to search around for a plug socket and you can use it quickly on the go, so your hair will always look flawless! Love these they're so cute and your hair is just amazing - serious hair goals!